Gifts of Love is a beautiful store for stationery, home decor and thoughtful presents and you'll find it in an extreme corner of Cyber Hub. 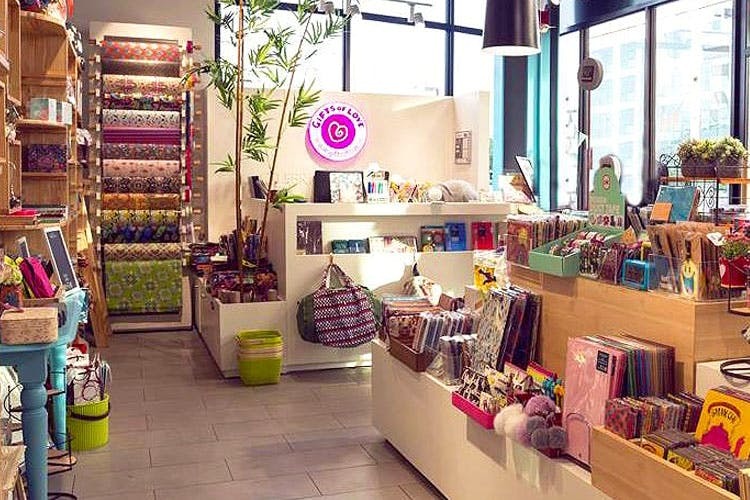 Located near Starbucks, we've spent hours browsing through beautiful notebooks, organisers, rubber stamps and recipe organisers at this pretty-as-a-picture store. They also have a magnetic collection (we mean that literally) of notepads, calenders, utility holders and more. When it comes to gifting and home accessories, they've also got an Instagram-approved wall art, pin board, coasters, passport covers and wrapping paper that’s all kinds of wonderful. Some of the stuff is slightly expensive, but they're definitely worth a splurge.